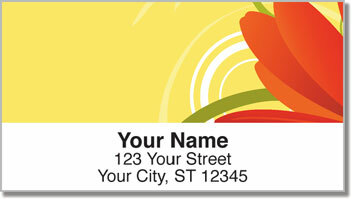 Stick a piece of garden art on every envelope you mail with these Petal Power Address Labels from CheckAdvantage. 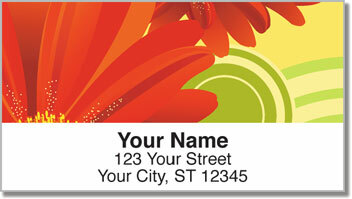 Their key design feature is a larger-than-life Gerber daisy bloom, and it's dazzling! 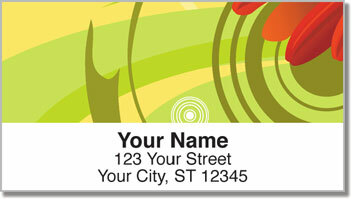 Surrounded by swirling line work and a cheerful yellow background, these labels will add a delightful finishing touch to your outgoing mail. And thanks to their self-adhesive backing, it's just peel and stick -- no need to lick! 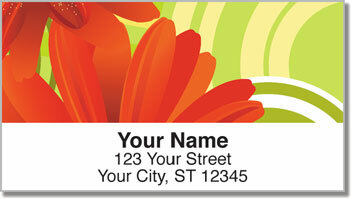 You can also get this pretty selection as a set of matching personal checks. They're available in both our top-tear and side-tear formats. So don't wait another day -- complete your order right away!